In the following post you’re going to discover 15 of the most useful and functional tools that are important to anyone engaging in Blogger outreach. These tools will not only help you keep track of your progress but will also improve your productivity. Blogger outreach is not only a great way of finding influencers to promote your products but also essential in the guest blogging process which has become a very widely used link building tactic. Below is a list of both free and paid blogger outreach tools that will allow you to make the most of your time and also find more relevant bloggers to contact. Please note that this list is not exhaustive by any means, new tools pop up all the time, others disappear while others complicate things and/or limit scale and results. These are tools that we are very fond of in house due to their straight forward nature and ability to maximise results. The MozBar is a great all round SEO toolbar that’s available for Chrome and Firefox; you will get some helpful metrics at your fingertips including Domain Authority, Page Authority and more. There are also a large number of other features such as nofollow highlighting and links to traffic data sites such as Compete, Quantcast, Alexa and more. You can open up Back Tweets and some other cool stuff. The reason I’ve included this as a blogger outreach tool is because; before you can reach out to bloggers you need to have a list of blogs which means prospecting and while there’s a lot of tools that you can use (I’ve also included these later on in the article) Google is still quite good for link prospecting. Firstly, you can get a SERP overlay of Domain Authority and Page Authority which can be helpful for initial quality checking. Secondly, the Firefox version of the MozBar will allow you to export SERPs (search engine results pages) to a CSV file which you can use along with the SEO Gadget bulk analysis tool that is mentioned later on. I am a huge fan of Buzz Stream and I find their free toolset incredibly useful for everyday tasks and save’s me a boat load of time. Email research tool – this will generate search queries to help you find contact details of bloggers you want to reach out to. 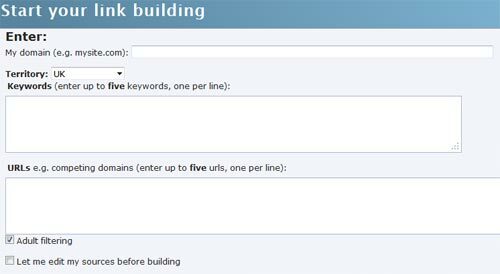 Link building query generator – when conducting blogger outreach you need to have some advanced search operators that allow you to find blogs easily, this tool does that and more. Extract domain from URL – if you have exported some SERPs to a CSV and find yourself with a list of deep links rather than root domains this tool can save you a lot of time. Extract descriptive text from a URL – if you have a long list of URLs or links to articles and you want to distil this down to see the main things the articles are talking about this tool is ideal. Extract links from HTML – imagine someone has a big list of websites or blogs you want to contact on a webpage but there are a lot of other characters and bits of text in the way and you just want to get the links? This tool will save you a lot of time. Build Outreach lists from blogrolls – another helpful tool that can save you a lot of time and beef up your list of prospects. Extract page title, description and keywords from URLs – I don’t use this for blogger outreach exactly but I find this most useful for competitor research as it gives me a quick method of seeing which keywords competitors are targeting en masse. I started off using Excel spreadsheets when I first started with blogger outreach when I was working on my own, but since we scaled up and expanded our team we quickly realised that we needed something better that would allow for collaboration to ensure there was no data loss. Then we switched over to Spreadsheets on Google Doc’s which removed a huge number of headaches because now multiple team members could access the same document at the same time without any data loss or other problems. Even if you don’t work with a team, Spreadsheets on Google Doc’s can be very useful as you can access them remotely and even from your mobile (although that does come with limited functionality). Canned Responses is a great tool from Gmail Labs that can increase your productivity by giving you an easy way to use email templates. I would recommend using this not just for the responses but also the initial approaches too and be sure to tailor your templates where possible so make sure you add a section into your template for adding something personal to the blogger you are reaching out to in your templates and make it clear in the template so you can’t miss it. Just choose a template name and save your template then you’re ready to go – then all you’ll need to do is compose a new message and select your template. If you’re new to Labs then you’ll be happy to know that there’s nothing to download, just navigate to your gmail settings then click the Labs tab and search for Canned Responses. This is an incredible tool that gives you mountains of data – all of which adds up to making you better informed about blogs that you’re considering reaching out to and will also save you a lot of time. Before you start off you’ll need a list of blog URLs, then fire them into the tool and you will get a huge report that gives you data including; IP address, WHOIS email, contact page, contact email, Twitter profile, Linkedin profile, PageRank, Domain Authority, Page Authority and many more. Follow ups are an extremely important phase within the blogger outreach process or even for any email correspondence. FollowUp.CC makes it so easy to follow up by giving you the ability to set follow up reminders simply by emailing FollowUp.CC with a custom email address that will determine when you want to be reminded for example – 3days@followup.cc. Another thing I love about this tool is how it will pull the related conversions to the top of your mail box (although you do need a conversation based email service to use this such as Gmail). This tool isn’t specifically designed for blogger outreach – it is a great all round SEO toolbar but can be very useful in the prospecting phase (and I’m quite fond of Majestic SEO’s metrics; Citation Flow and Trust Flow). One of the challenging parts to any blogger outreach campaign is quality checking websites and you really have to ask yourself the question – would I really want to be featured on this site or would I really want them to link to me? There are a few things that set off alarm bells and one of those is unusual or heavily optimised anchor text which is one of the things I use this toolbar for, just click the anchor text tab and you’ll instantly get a sense of whether something dodgy is going on. 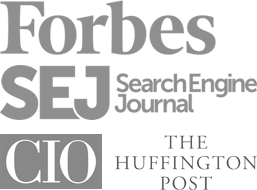 It’s also worthwhile seeing who is linking to the website which you can also do with the Majestic SEO Toolbar. This is a very new tool that’s still in beta right now (pricing to be announced soon), that I’ve been testing over the past few weeks. The strength of this tool is in finding lists of blogs; all you need to do is to start a discovery job and add 3 keywords or topic areas – the tool will then search for blogs that mention the 3 keywords/topic’s on one page and add it to the list. Once InkyBee discovers blogs you can then go in and select which ones you want to add to your list of blogs – you can rank these in order of relevancy, audience size and audience engagement. When you have got the blogs you want to contact onto your main list you’ll have access to audience size, engagement, posts per week, days since last post and even a handy button that will scan for any social accounts. – All this adds up to an incredible tool for prioritising which blogs you should be contacting. You can then export this data to PDF, CSV or Excel document to add into other tools or to archive should you need to. There are a number of features in the works and I’m really excited to see how InkyBee develops in the future – this is definitely the outreach tool to watch right now. This is a solid tool by Ken McGaffin who is a guy that knows his stuff – you can use this tool for prospecting, maintaining contacts and analysing your backlink profile. Simply start a new campaign, add in your keywords, add any competitors and customise any settings then you’re ready to go. You’ll get a huge list of prospects that you can then start to filter with a variety of settings including types of sites, strategies and more. Once you’ve decided who you want to target you can pull in contact data, add notes and even check for link placement. The Link Prospector was created by Garrett French and Whitespark.ca and it does what it says on the tin – prospect for linking opportunities. You can select your region, web/blog results, depth of search, TLD, date range, add safe search filters and then add any sites that you would want to exclude at a global or campaign level. The report type selection is where this tool gets really interesting, as you’d expect there’s a guest posting report type but there’s also; content promoters, links pages, content promoters, reviews, donations, giveaways and a lot more. 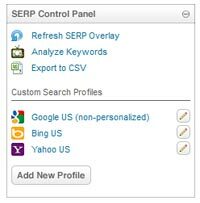 Once you’ve customised all your campaign settings just add your keywords or search phrases and wait for the report to run. You’ll then be able to export your reports with just the domains or the specific URLs. As I mentioned earlier, I am a huge fan of Buzz Stream mainly because it makes my job here at UK Linkology so much easier – I don’t have to worry about monitoring links or losing data in spreadsheets. Whether you’re conducting blogger outreach from a link building or a more PR based perspective you will find Buzz Stream very useful. You can start off by using the built in link prospecting tools and then import them into your project. Buzz Stream then allows you to add your email address and setup templates which seriously helps productivity. When you’re emailing using the interface you will get a full history of your interaction with the current prospect and any other notes that have been added into the system as well as an RSS feed that pulls in all of their recent content and a bunch of domain metrics. Once you have a link published you can add that quickly using a browser bookmarklet – Buzz Stream will then monitor your links and check them every two weeks and give you the option to run off reports easily. 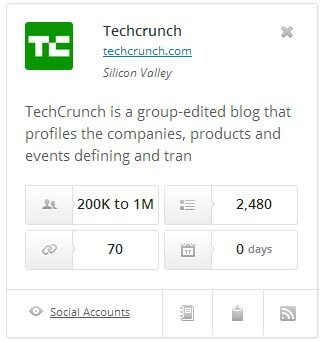 There’s also the option to add social mentions and a handy task management system for teams. It’s great to see how far Buzz Stream has come and that development is continuing a long with brilliant support. 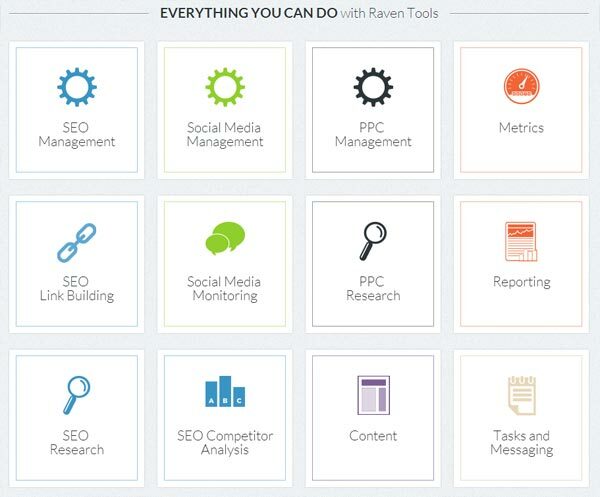 Raven Tools is more than a link monitoring tool or an outreach management tool as you get a bunch of other tools including social media management, PPC management and research, reporting, site auditor, task management and more. Where blogger outreach is concerned, you can start off by finding prospects with the site finder tool then add these to the outreach management CRM, find contact details, send emails and then track published links. Rather than starting with prospecting for blogs using search operators or regular prospecting tools what about going straight for authorities and influencers within your industry and using that as your starting point? Don’t forget; blogger outreach can be successful with just an email but if the blogger already knows who you are and you’ve already started to build up a rapport then you’ll make it difficult to say no to your pitch. Follower Wonk allows you to easily identify the influencers and authority figures within your industry – you can search for users using keywords and then compare, analyse and track followers. Another great use of this tool is that it highlights when your followers tweet and where they are which will allow you to find the perfect times to contact your followers and other Twitter users. If you’ve heard of SEM Rush before then you might be wondering why it’s even in this list – surely it’s no use for blogger outreach or guest posting right? While SEM Rush gives you so much data that is incredible from a research perspective, whether for straight up keyword research or competitive research there is a VERY good reason why I recommend that you use this. Guest posting, blogger outreach, link building or whatever you’re doing relies on you being able to prioritise your targets and focus your efforts on getting your content on the right sites and this is exactly why I recommend using SEM Rush for this. Here’s a scenario for you, let’s say you’re trying to promote a product through blogger outreach and maybe some guest posting or offering your product/service up for review. It’s an expensive process and the effort you put in deserves a return on your investment but what if a site looks great on the surface but has recently taken a pasting in an algo update and gets no traffic? Is it worth the risk or your time? This brings me to the reason for using SEM Rush because it can easily identify if a site has recently taken a pasting – sure the database isn’t 100% accurate, but I don’t know a tool that is (we can always hope though). This is a really impressive toolset from Christopher Cemper who is another guy who really knows his stuff when it comes to SEO and links. Similar to SEM Rush, this isn’t a tool that was designed for blogger outreach or guest posting and it may be overkill for what you need but overall it’s an incredible toolset for SEOs with some very powerful metrics. Contact finder – this is an extremely powerful tool that will pull in all of the contact details for a website and its authors making it very easy for you to connect and reach out to them. Backlink profiler – if a site owner has been engaging in shady tactics then you want to find out before you waste any time contacting them, this tool pulls in all of a websites back links and breaks them down by site type (I.E. blogs, directories, social networks, wiki’s etc) and then gives you a breakdown of anchor text. Link juice tool – this tool will show you which sites will be most valuable from an SEO perspective, while I believe there are more important things such as engagement and audience size this can still be useful. Link alerts ­– knowing what links are coming into your site is important to highlight any problems and also the success of your campaigns because you’ll not only see the links that are coming in from the guest posts that you’ve had published but you’ll also see any additional links and earned links that you have gotten as a result of guest posting/blogger outreach. There you have it, 15 tools that you can easily use for your blogger outreach and guest posting campaigns with a few thrown in that you may not have heard of or wouldn’t have considered using before. Whether it’s free or paid tools you’re looking for there is something for everyone here but this is by no means an exhaustive list – the question now is; what have you got in your blogger outreach/guest posting toolkit?